In fact, by the 40th anniversary of the Iranian revolution, Iran launched a state cryptocurrency backed by gold, PayMon (PMN). Will the story of Venezuelan El Petro repeat? Is Ali Khamenei prepared for the fate of Nicolas Maduro? When to wait in Tehran popular uprising with local Guaido? 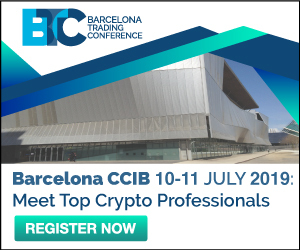 And how is this related to crypto? Governments, be careful with crypto! The community should be glad that such significant events are taking place in the industry. State stablecoin, and backed by gold! But doubts are inspired by the sad series of events in Venezuela, where stablecoin Petro (PTR) was also launched, backed by black gold, which Venezuela is rich in. 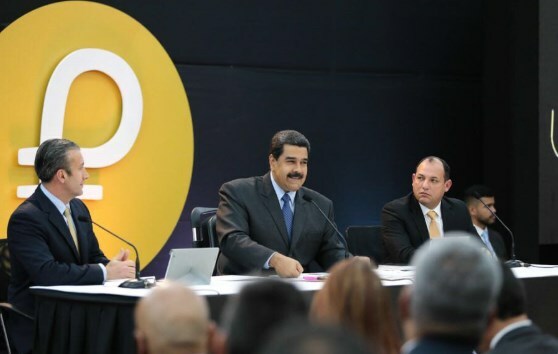 El Petro was launched with the hot support of President Maduro and by using administrative leverage. By “coincidence”, the mass demonstrations of the outraged Venezuelan people happened just on the eve of the free circulation of the coin, after the decision to issue a salary to civil servants in crypto. Another “coincidental coincidence” is the collapse of the NEM cryptocurrency, on this platform Petro was launched. The collapse coincided with the onset of popular uprising, the “Chinese blockchain” fell down almost in half. With the price of a token of $ 60 (the cost of a barrel of oil), 100 M PTR were released, of which 82.4 M was sold. The goal was $ 2.088 billion. According to the Government of Maduro, the plan was, of course, exceeded, $ 3.3 billion was collected. No independent audit, but the figure of $ 735 M was leaked into the information space as the real amount of funds raised. But skeptics do not believe in this amount either. Venezuelan émigré programmer Alejandro Machado said in his fascinating tweet that such funds did not move from the Petro NEM wallet. Anyway, according to the dissident, the price of a PTR of $ 60 is completely arbitrary. Heavy Venezuelan oil is not worth so much, not in the ground no on a tanker. Maduro tried to hedge up and added even more confusion when he announced the additional launch of “gold” Petro, backed by gold. It seems that this decision occurred to him after the success of the oil cryptocurrency. But no details followed. It is even unclear whether the country’s gold reserves or explored gold deposits were discussed. What is the bottom line? For the first time in history, stablecoin acquires the status of a scam. Unlike young Venezuela with its quasi-socialist experiments, Iran is one of the oldest countries in the world with traditions of several thousand years. Its millennial history is a story of eminences and falls, and eternal disobedience in the face of external forces. This is rich land at the crossroads of civilizations. Somewhere near there the Garden of Eden was situated. Ancient Iran constantly fought – with Hellas, Rome, Israel. The confrontation with Israel continues now. Hence the hostile attitude of the United States to Iran. It was precisely the heavy, suffocating international sanctions adopted at the initiative of the United States against Iran and pushed him to look for a way out with crypto. In particular, re-disconnection from the international settlement system SWIFT. This has already happened in the history of the Islamic Republic. Remained unpleasant memories, obviously. The differences between Iran and Venezuela do not end on the history . This is a powerful innovative economy. And it is all the more surprising that it develops in spite of external pressure. GDP growth is kept at 5-7%. Iran has its own nuclear, rocket and even space program. It is because of the nuclear program that Israel fought against it, despite Tehran’s assurances that its program is a “peaceful atom”. Where is peaceful – there is non-peaceful – Tel Aviv reasonably notes. At the same time, the interests of Russia and the international community collided: Russia is building the second phase of a nuclear power plant in Bushehr. Some time there were rumors that Iran and Russia are considering the possibility of settlements in cryptocurrency. But, obviously, a more traditional way was found. But the EU, which also suffers economic losses from sanctions against Iran, does not seem to go without crypto. France and Germany took courage, went against Washington and said that they were developing a settlement system with Iran to bypass sanctions. The system is called the “special purpose vehicle” (SPV), the formal name was INSTEX, the French and the British finance it, and the management is German. No other details, except that office is situated in France. It was stated that they are building a system based on barter. But where is the barter – and where is the 21st century! Rather, it’s just an excuse “to the public.” Moreover, practically in those days when INSTEX was announced, a message appeared about the launch of the Iranian cryptocurrency. Again a coincidence? Overloaded with coincidences! Iranian gold stablecoin is named PayMon (PMN) also in historical traditions. The word translates as “covenant”; it was chosen even though there is already a coin with the name Paymon (PMNT), Estonian, launched in 2017. 4 Iranian banks appear in the PMN launch report – Bank Mellat, Bank Melli Iran , Bank Pasargad, and Parsian Bank; the over-the-counter marketplace Fara Bourse and a couple of indefinite company names – Ghoghnoos and Kuknos Company. In both there is the same executive – Valiollah Fatemi. Ghoghnoos is registered in the UK, the Kuknos site is in Farsi only. The platform for PayMon, commissioned by the Iranian Central Bank, was developed by Informatics Services Corporation (ISC), headquartered in Tehran. As you can see, this is not Venezuela. All is serious. How about gold collateral? Iran has its own gold mining, about 6 tons per year. And this sector is growing, with plans to produce 25 tons per year. So it was not by chance that the crypto was decided to support by the noble metal. How about a crypto in general? It is known that in April last year, the Central Bank banned operations with crypto. But now, of course, this ban is canceled. However, it is impossible to carry out transactions in global cryptocurrencies inside the country. But it is allowed to mine, conduct ICO and … – pay off abroad! In essence, during the prohibition period, these operations were carried out. According to Soheil Nikzad, board member of the Blockchain Association, Bitcoin transactions worth at least 10 M are held daily in Iran. In general, the prospects for the Iranian gold state cryptocurrency PayMon (PMN) are not bad. Especially if the mysterious European INSTEX is also a part of this project. But what will Washington answer? It is not excluded that the Iranian masses, outraged by the fall in the standard of living, will suddenly take to the streets. Led by a young, unknown politician who does not recognize the current government. True, the highest authority in Iran is not the president, but the Supreme Leader Ali Khamenei. They’ll have to think out something more. Next Entry Litecoin Rise by 33%. Where Will the BTC Fly?